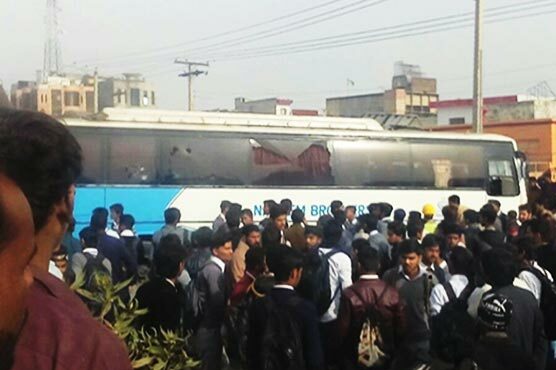 A local bus in Rawalpindi ran over a student trying to get onto it today (Wednesday). According to fellow students who witnessed the incident, the victim was trying to get on the bus. As soon as the driver came to know that a student was trying to get on board, he sped the bus in top gear. As a result, the student lost balance and fell over, due to which, the bus allegedly ran over him. The driver of the bus fled the scene.